When can this app be useful? What are the main advantages of Mnova tablet app? 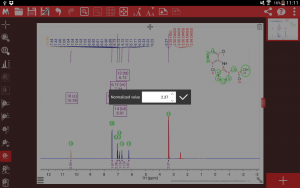 This app has been made to provide the chemist extra flexibility and mobility when using Mnova NMR processing software.Â It is not a substitute but we think it can complement the desktop version very well. 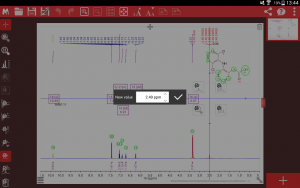 The world is definitely going mobile and Mestrelab is proud of creating this first tablet application capable to process and analyze your spectra. Can Mnova tablet replace the desktop version in any case? The Mnova app for tablets has not been created to replace the Mnova desktop version. 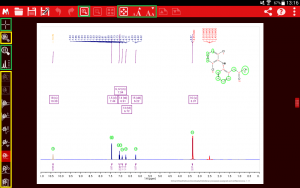 It complements it and gives the chemist extra flexibility and mobility about ‘where’ to process the spectra. 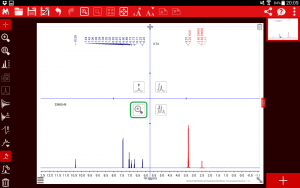 With this app you can use the main processing options (Phase correction, baseline correction, apodization, zero filling, linear prediction) and peak analysis tools (peak picking, integration, multiplet analysis). Unable to use the molecular editor and assignment tools but you can also load your processed and assigned spectra. Is there any difference between the iPad and Android apps? The application has been designed to work exactly in the same way on both, Android and iPad. The only difference will be in the way you install it, either from the Apple Store or Google Play. How can I install the application? To install the application you just need to go to Google Play (Android) or to Apple Store (iPad) and search â€œMestReNovaâ€. Then you just need to install the Mnova tablet app. What is the difference between the free app and the full version? 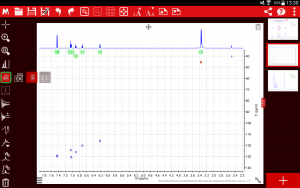 The free version is a basic application where you can open and view your Mnova NMR data. This can still be very useful under certain circumstances and work environments. 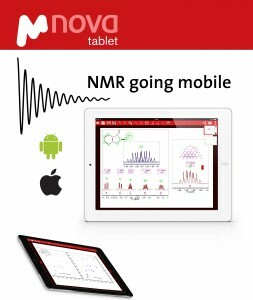 You will need the full version of the Mnova tablet app to be able to process and analyze your raw NMR data. If you are using the free version then most of the functionality will be displayed with an icon with a lock. By clicking on it you will be prompted to purchase the full version. Can I test this application? How long for? Yes, you can install the full version a as a 45-day trial. For this you just need to download the application and register. The subscription cost of the version with full functionality is approximately 20€/year (upon Google Play and Apple stores) Alternatively you can subscribe to the free version (limited functionality). Are there any restrictions with the tablet model? There are no restrictions. The application is suitable for any Android and Apple devices. Speed and performance will obviously be better on more powerful devices. The restriction is currently for cell phone devices. What do I get with my full version subscription? The subscription provides with a one year license. How can I upload my raw Mnova data in my tablet device (Android)? Connecting/plugin in your device to a different device. This app currently does not support other cloud storage services. We are discussing the possibility of downloading data from a local server and hopefully this will be implemented in the future. 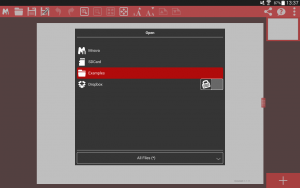 How can I upload my raw Mnova data in my tablet device (iPad)? Why am I having problems when trying to upload an experiment fid file? 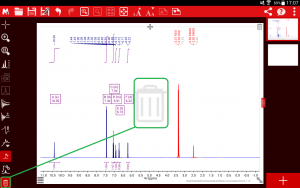 The issue is probably due to trying to open the ‘fid’ or ‘1r’ files without the other files that are needed to import a Bruker or Varian NMR experiment. For example, in the case of Varian files, in addition to the fid file you also need the procpar file because it contains all the necessary metadata. In the case of Bruker, in addition to the FID file, the acqu(s) files are needed. 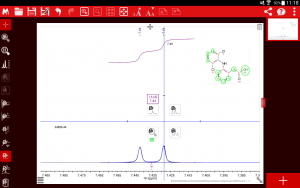 This limitation not only applies to the tablet but also to the Mnova desktop version or any other NMR processing package. What functionality is missing on the free version? The free version of the Mnova tablet app has got restricted functionality compared to the full version. 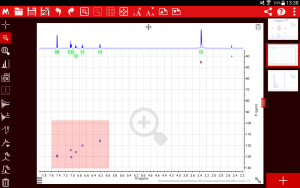 On the free version you open and visualize your spectra, but you will be unable to process or analyze your data. The icons on the toolbar which are unavailable will display a lock symbol on as displayed below. 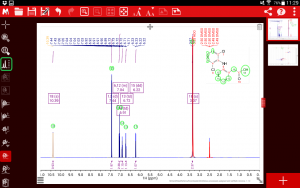 Besides the visualization, you can still use some basic functionality, such as referencing your spectra, measuring distances or coupling constants and normalizing the integrals and multiplets on a processed and analyzed spectrum. What functionality is available on the full version? 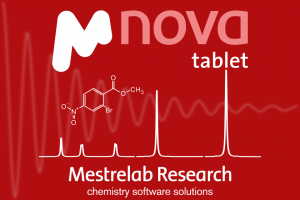 In addition to all the basic functionality described for the free version, the Mnova tablet app in its full version also contains the main NMR processing functionality, including phase correction, baseline correction, apodization, zero filling and linear prediction and full analysis tools, such as peak picking, integration and multiplet analysis (this last one only manually). How can I zoom in on the spectra? Select the zoom icon on the toolbar and drag across. Use the cross-hair tool and drag across. Double tap to zoom in on a region. Can I process 2D spectra? How can I add/delete multiplet peaks? And J-couplings tree? You can delete peaks (e.g. multiplet peaks) by selecting the ‘delete’ mode (bin icon at the processing toolbar) and then dragging across the peak region with the peaks you want to delete. To add multiplet peaks, you can select the cross-hair mode and add all peaks within the multiplet of interest and the multiplet will get automatically updated. The multiplet analysis is not automatic and it has to be analyzed by manually selecting each peak region. At this present time, it is not possible to display J-couplings tree unless they are created in the Mnova desktop application. It will hopefully be implemented soon. How can I reference my spectra? Select the cross-hair tool and place the cursor on the desired peak. Then you can change the reference chemical shift by typing the desired value. How can I normalize the integrals? You just need to tap on the integral value or multiplet box and change its value. Can I calculate coupling constants? Yes, there is a manual option where you can place the cursor on the desired place and double click on it to obtain the second cursor to measure peak distances. How can I increase peak intensities? In order to increase the peak intensities just drag three fingers up and down. You can also select the icon highlighted below in green on the left hand side of the tool bar to increase the intensity to the maximum of the screen in one single click. (Fit to the highest intensity).